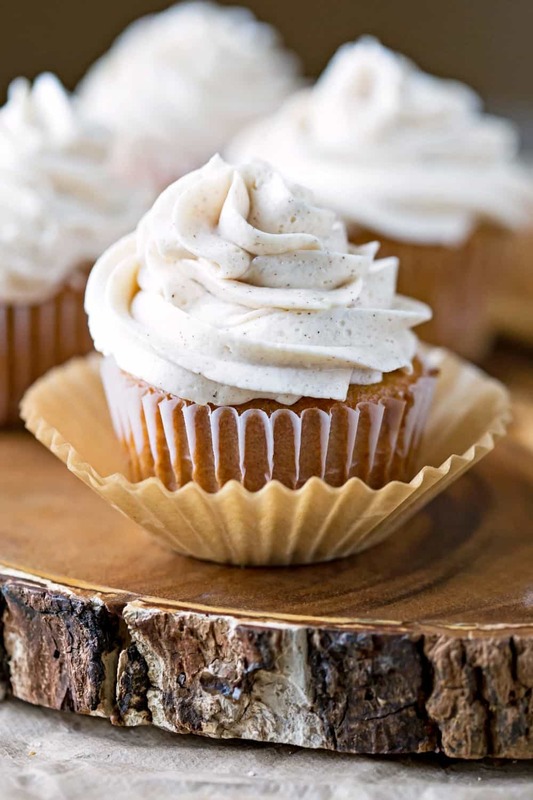 Whipped Cinnamon Buttercream Frosting is super light & fluffy buttercream frosting. 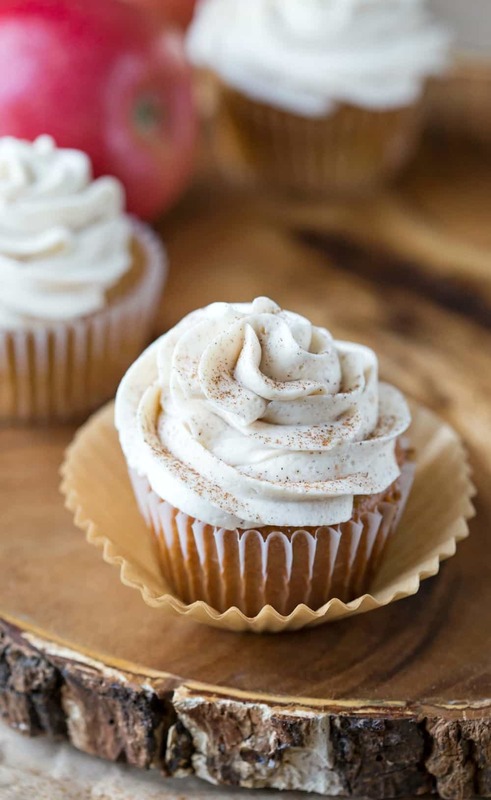 Perfect for pairing with apple, pumpkin, white, or chocolate cake! Growing up, I was the kid who scraped all of the frosting off of my cake before I ate it. I love cake, but frosting, not so much. I have trouble with foods that are too sweet, and so many frostings are just sweet and heavy. Or, even worse, sweet, heavy, and greasy. Yuck! 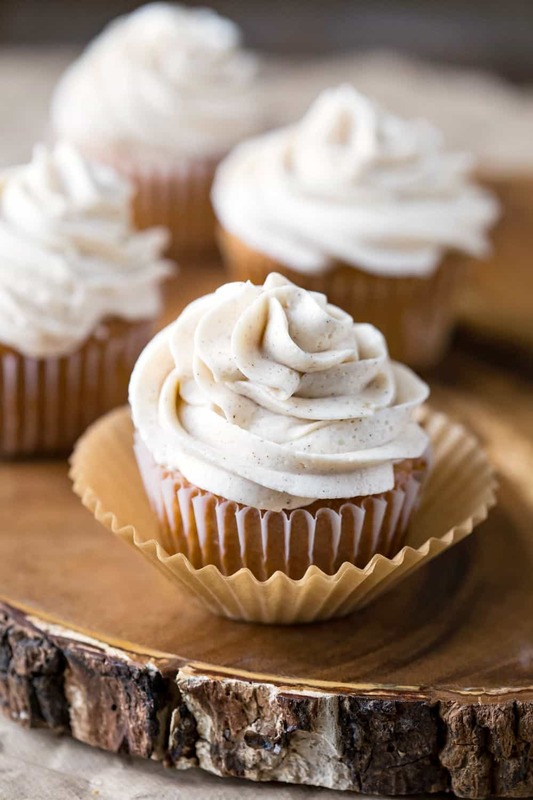 This Whipped Cinnamon Buttercream Frosting is sweet, but it’s a more balanced sweet. The kind that makes you want to take another bite, not the kind that makes your teeth hurt. It’s also incredibly light and airy – like buttercream meets whipped cream. 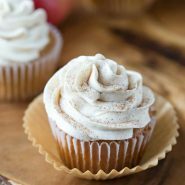 This frosting pairs really well with fall flavors like apple and pumpkin, but it’s also good with basic cake flavors like chocolate and white cake. In a small saucepan, whisk flour into milk and heat, stirring constantly, until it thickens. It will be the consistency of a thick pancake batter. It should not look wet at this point. While the mixture is cooling, cream the butter, sugar, and salt together until light and fluffy on medium high, about 5 minutes. Then add the completely cooled milk mixture along with the cinnamon. Beat it for about 5 minutes on medium-high to high until it looks like whipped cream. It may look separated at first, so keep beating it until it comes together and looks like a whipped cream. Thank you! I’m so glad that you liked it, and it sounds like a delicious cake. =) I’ve used this frosting with apple, banana, and pumpkin cakes, and I thought it went well. I hope you enjoy it, too! And thank you for coming back to comment! I haven’t tried it yet but I was wondering if I could make it smaller. Like 1/2 everything? I’ve made half batches of the frosting, and they came out just fine. =) Hope that helps! Hi! No need to apologize! Brown sugar and cinnamon go really well together. =) You can combine them! The easiest way to do that is going to be to do what you suggested. I’m not sure if it matters whether you add the cinnamon with the sugar or with the milk. I think either would be ok. As far as which one goes best, I like your idea about using cinnamon brown sugar! If you have any other questions, feel free to ask! I made the frosting using the brown sugar buttercream measurements and added the 2 tsp of cinnamon with the milk mixture, and OH MY DELICIOUS GOODNESS. Thank you for such a fabulous, fabulous recipe! Perfect level of sweetness with a beautifully smooth texture. Looking forward to making this again and again. Simply Amazing! So happy to have found this recipe, I made a pumpkin cake today for a church dinner and wanted to try a different light icing. 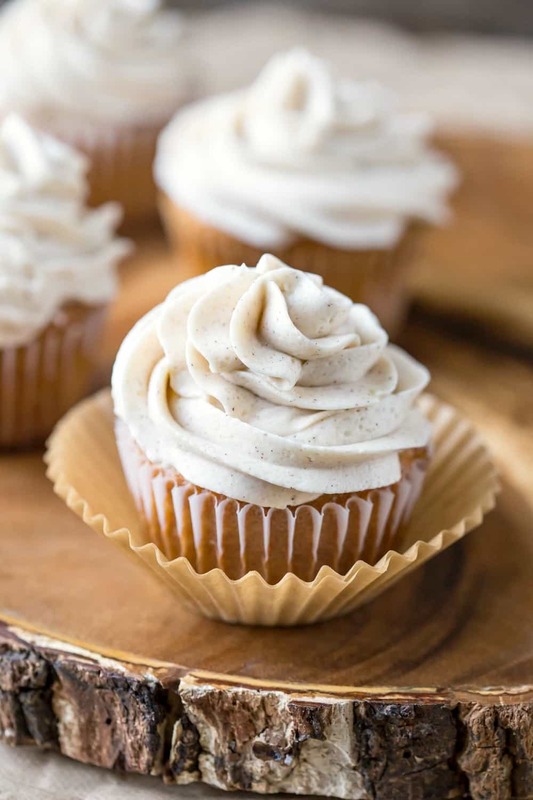 I made the whipped cinnamon buttercream icing and everybody raved about it, It was phenomenal, this wll now be my go to icing! thanks for sharing! How many cakes/cupcakes does this recipe make? Can’t wait to try it! Thank you! =) The recipe yields enough frosting for 24 cupcakes or a 2 layer 9-inch round cake. How much heat should I use and f I’m doing it correctly approximately how long should it take? It’s going to depend some on your stove. I find that medium or medium-low works well. It should take about 15 minutes to thicken up. Hope that helps! This is by far the best frosting I’ve ever made. The grandkids love it. Went perfect on my pumpkin creme’ cake. Thank you. Fantastic! This was one of the best icings I ever had. Do you need to refrigerate a cake/cupcakes with this frosting? I refrigerate every cake that has a buttercream frosting, so I would say yes. Traditionally T. is the abbreviation for tablespoon, and t. is the abbreviation for teaspoon. Also, tbsp. is for tablespoon and tsp. is for teaspoon. I’ve seen these flour based frosting so but not one that looked this good. I’m going to try this, as I’m like you and find a lot of frostings way too sweet. Brilliant recipe can’t wait to give it a go. What is T means tsp or tbsp in 7T all purpose flour? I use T. for tablespoon and tsp. for teaspoon in my recipes.